November the 4th may well be remembered as the most colourful day of 2013. 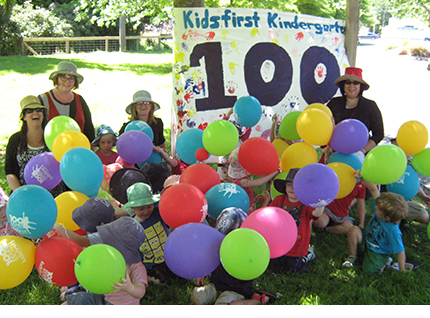 To celebrate the Kidsfirst Centenary, a box with a pump, string and 100 balloons was delivered to each Kidsfirst Kindergarten in Canterbury and on the West Coast. 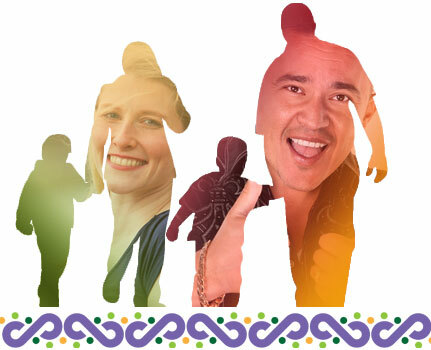 It seemed that wherever you went, there was an explosion of happy colour, with everyone aware of the important celebration that was 100 Days of Kidsfirst. Kidsfirst Halswell are all smiles as they show off their giant banner made for the Kidsfirst centenary celebrations. All over our communities there were balloons galore as our kindergartens celebrated 100 Days of Kidsfirst in colourful style.